After a quiet Thanksgiving weekend, we have a closed low pressure system forming in the south. This storm will drop around an inch of rain around the area tomorrow. Because it is a closed low, the center of circulation will be colder than the rest of the storm. Snow will actually fall in Mississippi and Alabama when the center moves over these areas. Amazing how the weather works! After the storm moves out, we will have a stretch of cooler weather before the uncertainty begins…. Ok, long-range time. It has been a stressful past couple of days for weather forecasters. The long-range has been extraordinarily volatile. Last week, it was looking like the cold and stormy weather would start December 5th. Right now, I’m not even sure if we’re going to have any snow in December. Predicting when the first prolonged cold and stormy weather is one of the most challenging feats for forecasters. I still have a feeling that winter will start sometime in mid-December. Long range models have definitely been hinting at a more stormy pattern, and there is plenty of arctic air ready to come down from Canada. It will be only a matter of time. 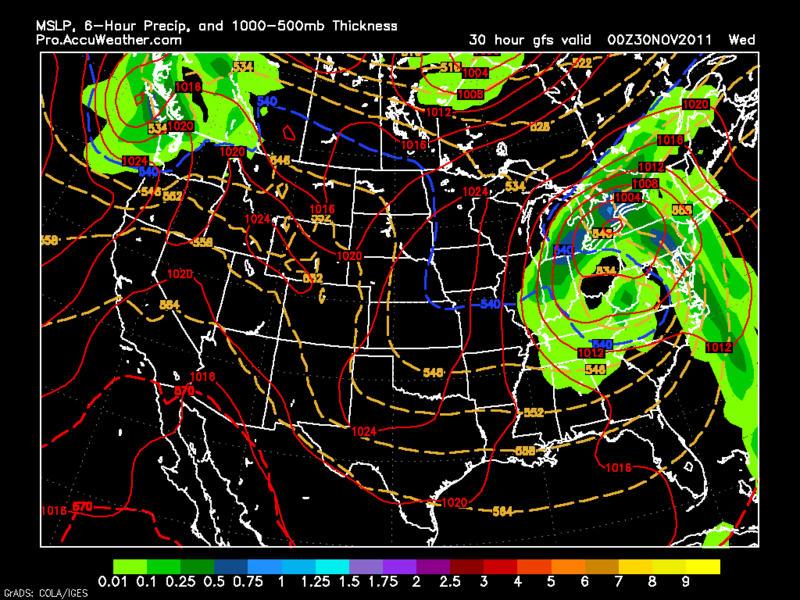 Large Rainstorm Tomorrow Night Into Wednesday; When Will Winter Start?